MIDLAND, Mich.--(BUSINESS WIRE)--People watching the Olympic Winter Games PyeongChang 2018 this month witnessed the power of a collaboration between USA Luge and The Dow Chemical Company (“Dow”). The USA Luge team competed with Olympians from around the world using sleds designed by their engineers and Official Technical Partner, Dow. The two organizations have been working together since 2007 to combine science, engineering and technology for superior sled performance on the track. Dow is applying the knowledge of physical sciences and state of the art engineering tools to develop an advanced luge sled. For example, Dow engineers gather insights into the track dynamics through a computer based model which helps to understand the interplay between various types of forces acting on the athlete and sled. Through its advanced manufacturing and testing capabilities, Dow creates prototypes of new designs and validates them with internal testing. Promising ideas are further tested on the track by USA Luge athletes who are able to assess the practical advantages of the changes. 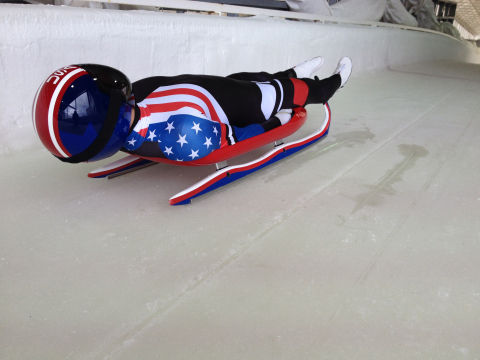 “By transforming the end-to-end process of sled R&D, design and manufacturing, Dow helps to continually innovate the sleds that the USA Luge team uses,” said Gordy Sheer, Director of Marketing and Sponsorship of USA Luge. The Dow Chemical Company (Dow) combines science and technology knowledge to develop premier materials science solutions that are essential to human progress. Dow has one of the strongest and broadest toolkits in the industry, with robust technology, asset integration, scale and competitive capabilities that help it to address complex global issues. Dow’s market-driven, industry-leading portfolio of advanced materials, industrial intermediates, and plastics businesses deliver a broad range of differentiated technology-based products and solutions for customers in high-growth markets such as packaging, infrastructure, and consumer care. Dow is a subsidiary of DowDuPont Inc. (NYSE: DWDP), a holding company comprised of Dow and DuPont with the intent to form three strong, independent, publicly traded companies in agriculture, materials science and specialty sectors. More information can be found at www.dow.com.